• Useful to make an indentation on cortical bone to confirm the exact drilling location. • Advisable to go into the bone to the full length of a fixture. 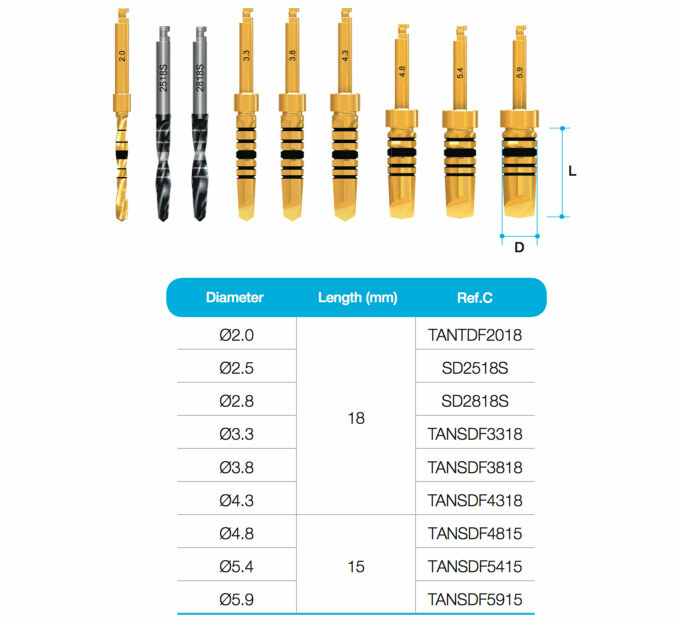 • Each drill has calibrations from 7.0 to 18.0mm. • Removes cortical bone and enlarges osteotomy socket especially at hard bone. • Similar function with countersink drill of other systems. • Extends drills & other handpiece tools. • No more than 35Ncm torque : Can be distorted when too much force is applied. • Delivers torque for the placement of a fixture with a handpiece. • Easy and secure pick-up and delivery. • Used to place an implant without a mount. fixture platform, especially in flapless surgery. • Delivers torque for the placement or removal of a fixture with a Ratchet Wrench. • Secure a Ratchet Extension or Torque Wrench to a fixture before exerting force. • Toomuchtorqueforcecanresultadamagetothehex of a fixture. • Marks on the shaft can indicate the position of fixture platform, especially for flapless surgery. • Used for all Cover Screws, all Abutment Screws and all Healing Abutments. • Available in 4 lengths for convenience. • Hand Driver can be directly inserted into the Torque Wrench without using an adapter. • Hex tip can withstand 35-45Ncm of torque without distortion. 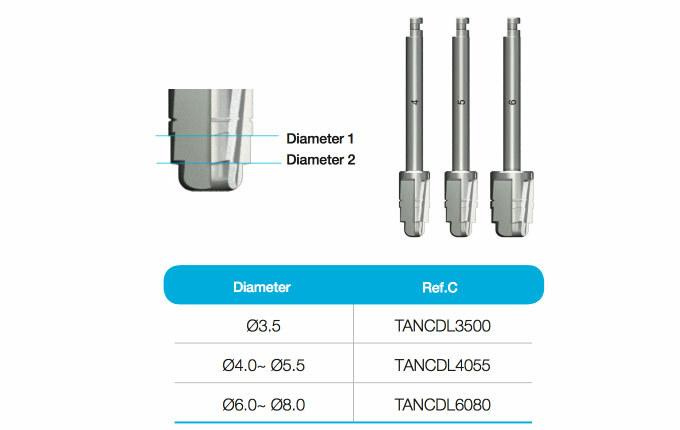 • After placing a fixture, a Path Finder can be con- nected to guide parallel for the next implant. • Gingival depth can be measured with the grooves especially for flapless surgeries.